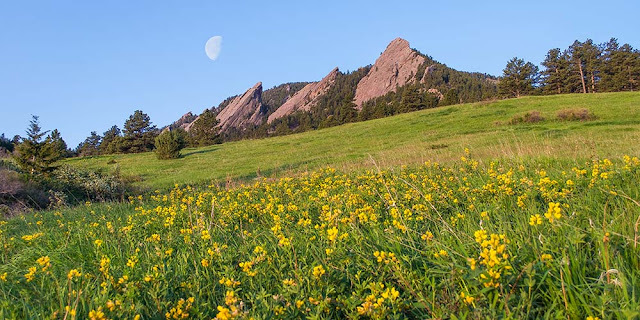 The entire area surrounding the Flatirons is a great spot in the springtime to find some color. 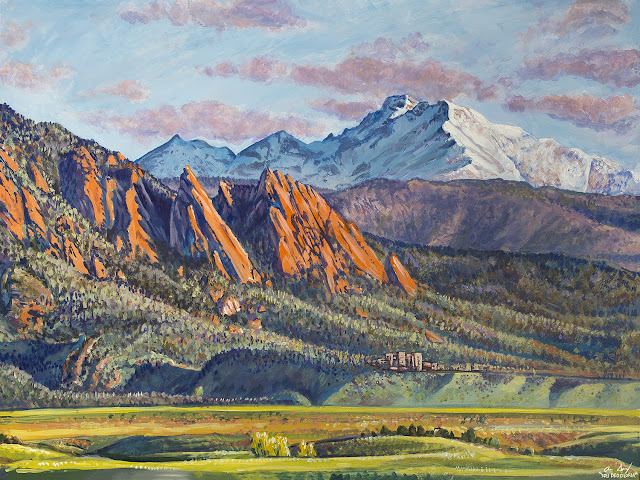 The flat plains of the Front Range come to an end as massive rock formations shoot out of the ground. One of the most popular places to hike is Chautauqua Park located right on the edge of the town in Boulder. Here, you can walk only feet away from the parking lot and find yourself in the middle of rolling hillsides full of flowers. 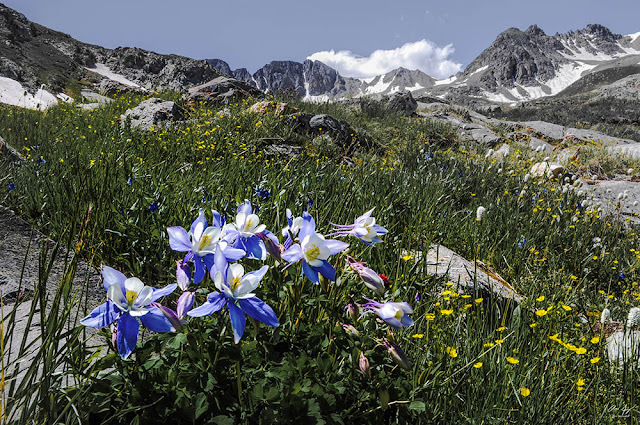 American Basin is a most beautiful setting in the San Juan mountain range. Located near Lake City just off the Alpine Loop scenic byway en route to Cinnamon Pass, the basin is better known as part of the standard route that leads to one of Colorado's "easiest" 14ers, Handies Peak. This short hike into the valley is best done at sunrise when the first rays of light hit American Peak in the background. Shrine Pass is accessed just a couple miles off of Vail Pass on I-70. 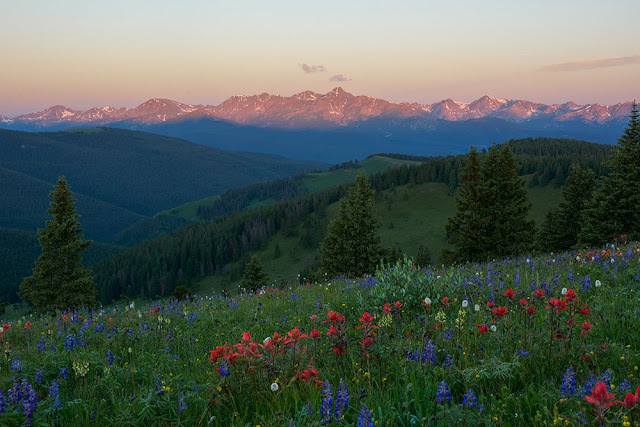 From the pass, a short (and popular) hike up to Shrine Mountain will reward your effort with countless clusters of indian paintbrush and lupine wildflowers. The 360 views are awesome! From here you can frame the famous Mt. of the Holy Cross as a backdrop, or capture the whole length of the rugged Gore range to the north. 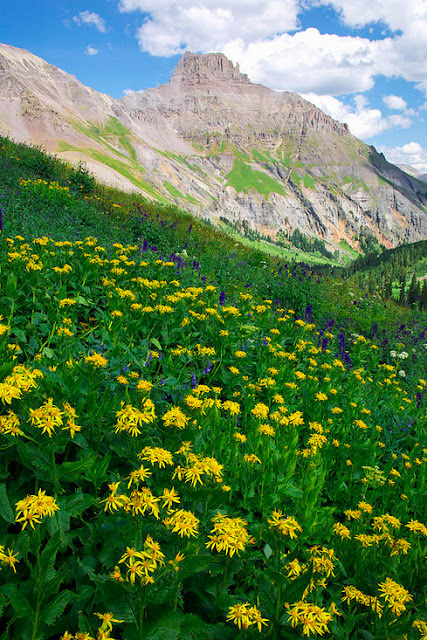 The town of Crested Butte is called the "wildflower capitol of Colorado." 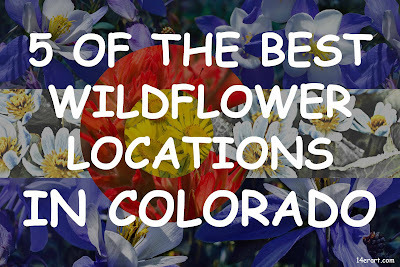 Endless hillsides of yellow mules ears and white cow parsnip are seen in every direction on a drive through town. Mt. Crested Butte and Gothic Mountain are the dominant peaks here and can best be viewed along Gothic Road just past the ski area. The Brush Creek Road is another great drive and can be extended much further if you have 4-wheel drive. 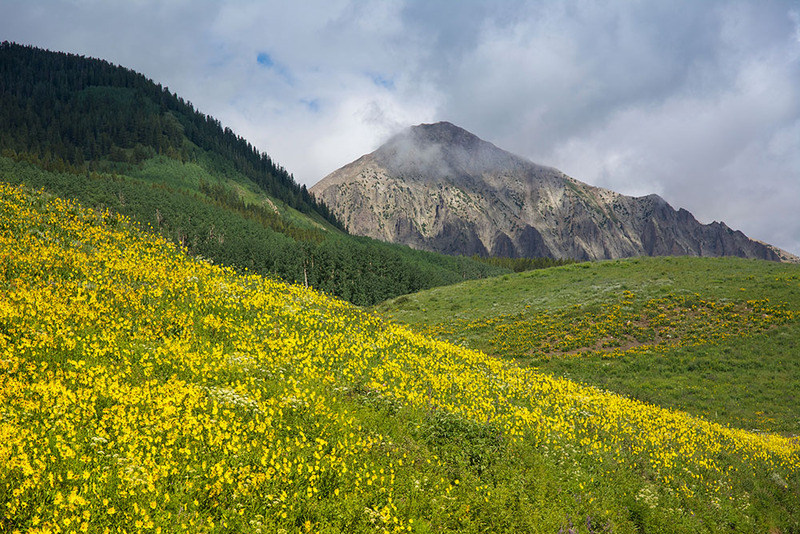 A popular 4 wheeling/hiking location just outside the unique town of Ouray, Yankee Boy Basin is one of the best ways to witness Colorado's finest scenery. Ouray is called the "Switzerland of America". The peaks of the Sneffels Range are arguably the most jagged in the state. The waterfalls, wildflowers, and dramatic mountains are just breathtaking.